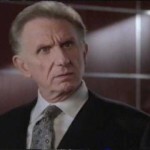 In fall 2004, René was offered a recurring guest role on a new TV project created by producer David Kelley, Boston Legal. 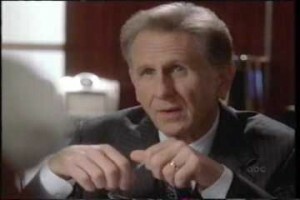 As the weeks went by, René’s character, Paul Lewiston, appeared in more and more episodes until, in early 2005, he was promoted to being a regular on the show. However, at the end of season 3 in spring 2007, the producers decided to cut Paul Lewiston, and René was released from being a regular in the cast. Later in the summer, René was informed that the writers hoped to bring Paul back as a recurring guest star for several episodes in season 4. In other words, he wass back to where he started when the show began! 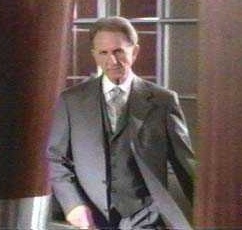 In September 2007, René filmed his first guest shot of that season, and continued to appear in various episodes until the very end of the series. Boston Legal was an odd show – part drama, part comedy, part in-depth study of American society and politics at the beginning of the 21st century. The writing was often first-rate, and many of the actors are, quite simply, superb. Below are a collection of links to many websites devoted to Boston Legal and articles and reviews written about the program as a whole or about individual episodes. If you know of other links we should add, or if you’d like to contribute a review or comments about the show or about René’s performance as Paul Lewiston, write to the website manager, Marguerite, and we’ll see about adding it in. Thanks! Boston-Legal.org – Extensive fan-run website, which includes a wealth of information. Everything from episodes synopses and reviews to screen captures to background information on guest stars and much, much more. Boston Legal – BuddyTV’s Boston Legal page includes news articles, video clips, and opportunites to interact with other BuddyTV members. 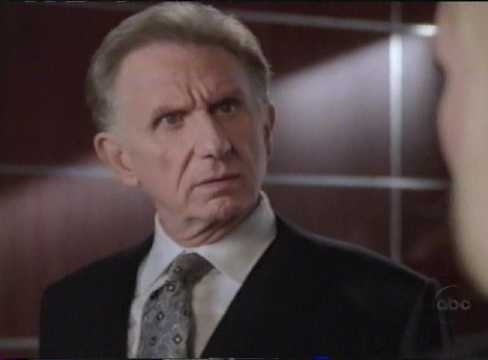 Crane, Poole, & Schmidt (& Lewiston) – A beautiful website for French fans of Boston Legal, with lots of excellent photos of René as Paul Lewiston. Well worth a visit! Interview with Bill D’Elia discussing season 4, with a brief mention of the decision to eliminate Paul Lewiston from the regular cast.